You just checked your credit report, and your score has fallen like a rock! True, you hit a rough patch and missed a couple of payments a few months ago. But you almost had the money to pay them off — and the creditors turned them over to collection agencies. Now what? The short answer is you have options. Those options may not be quick and easy, but there are definitely things you can try to get the collections off of your report. So take a breath, clear your head, and let’s go over your options. Creditors start the collection process when an account is between 90 and 180 days past due, but they report the late payments to the credit bureaus as they happen. So your credit score is damaged each time an account is 30 days past due and that continues every 30 days until it’s paid. The damage accelerates if the delinquent debt is turned over to a debt collector. If that happens to you, there are immediate steps to take no matter when you find out about the collection. First – gather all your documentation. Even if it requires a bit of digging it’s worth it if it results in a cleaned up credit report and higher score. You’ll need a copy of your credit report from all three of the credit bureaus (Experian, Equifax, and TransUnion). They’re available once a year from www.annualcreditreport.com. Plus, you’ll need a copy of the account statement showing when the account was first past due. Statements can be located on the creditors’ website, or by contacting them to request a copy. The account number is correct and your account. The date the delinquency occurred. Keep complete records of everything you do while trying to removing the collections from your report. Note when the first payment was over 30 days late, and keep copies of all letters and emails, sent or received, and document all calls and what was discussed. Plan on keeping these records for several years, in case the information finds its’ way back onto your report after it’s resolved. If you confirm the account number is correct, and the debt is yours, you have a few options to pursue. 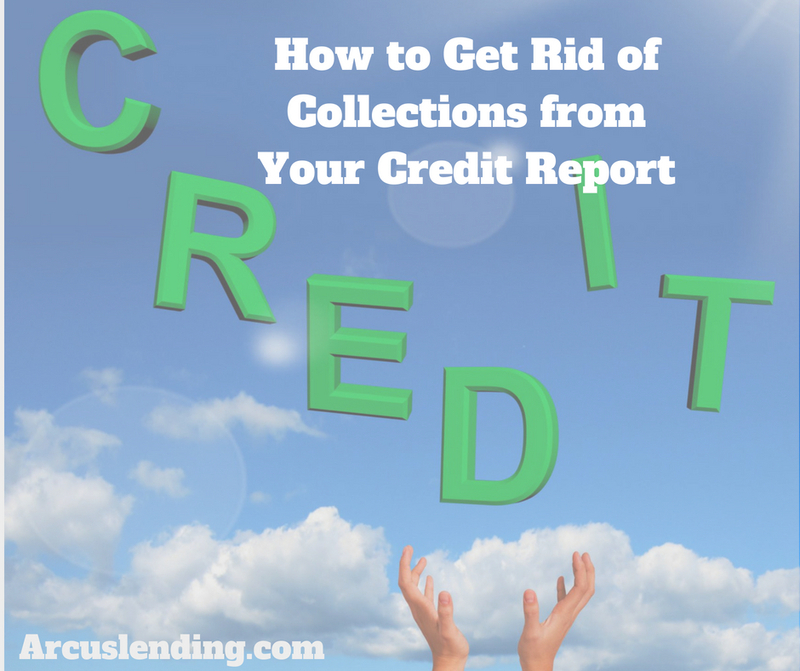 You can dispute the collection either directly with the three credit bureaus, or the collection agency, or the original creditor. If you decide to dispute through the three credit bureaus, follow the specific instructions on their websites (Experian, Equifax, and Transunion.) The bureaus have 30 business days to verify the account belongs to you, and that the creditor can validate the debt is yours, or they will have to remove the information from your credit report. If you decide to dispute directly with the collection agency, first request a debt validation letter from them. Under the Fair Debt Collection Practices Act (FDCPA), collectors must send you a written debt validation notice, with information about the debt they’re trying to collect, within five days of the first contact. The debt validation letter will have the name of the creditor seeking payment and state that you have 30 days from the first contact to dispute it. If you request more information in writing within that 30 days, they must provide it. If they’re unable to prove the debt is yours, or don’t respond to you at all, they’ll have to remove the collection from your credit report. On the other hand, If they do prove you owe the debt, consider negotiating to pay less than the full amount you owe. Collection companies purchase debt at a fraction of the amount owed and are often open to accepting less than the total amount. Paying the debt won’t increase your credit score or remove the record of the collection either. But now you can approach the three credit bureaus after a month or two and go through the process of disputing the debt again. Often the creditor won’t make an effort to respond when the debt has been satisfied, and you’ll be successful. When your debt is resold from one collection company to another, that’s a good time for you to pursue a debt verification. The further removed the debt is from the original creditor may mean less motivation for the current debt collector to do the work required to verify the information and the record would be removed. Remember to send written requests certified mail with a receipt for delivery for your permanent records. Finally, if you do pay off the debt, you can request a goodwill deletion from the debt collector. This is less likely to occur, however, if you can demonstrate that you now pay all your debts on time and it was a one-time situation that resulted in the collection – you may get lucky. Derogatory credit information, whether it’s late payments or collections, will remain on your credit report for seven years and 180 days from the date of the original delinquency. If your collection is nearing the time limit, your best option may be to wait it out, since all record of the collection and the late payments are gone after 7 1/2 years. Monitor your credit report closely and contact the credit bureaus if they don’t drop off your report at the correct time. You should also note that paying less than the amount you owe on any debt results in what the IRS terms ‘debt forgiveness’ which is considered taxable income. For instance, if you pay $6000 of a $12,000 debt, you’ll have $6000 of taxable income from the portion that was forgiven. If you decide not to pay a collection, and your score is high enough to qualify for a mortgage, find out early in the process if you will need to pay the collection as a condition of getting the loan. You’ll need to include any amount the lender requires you to pay in your cash-to-close as a condition of your qualifying.